(c) the details of operating ratio of Railways at present? 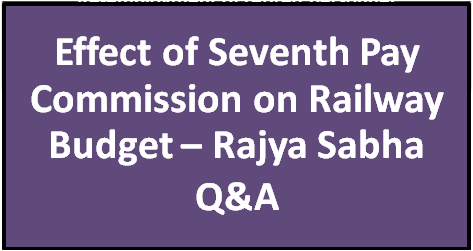 (a) & (b) The annual impact of implementation of the 7th Central Pay Commission is assessed to be around ` 22,000 cr on the Railway expenditure. (c) The operating ratio of Railways was 98.4% in 2017-18 (Provisional) and has been budgeted at 92.8% in 2018-19. 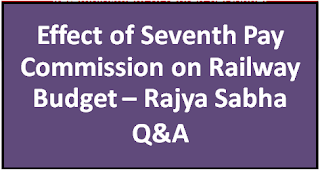 Railway Budget is heavily affected by Seventh Pay Commission;is assessed to be around ` 22,000 cr on the Railway expenditure.